Taken from: Berroco Portfolio Vol. 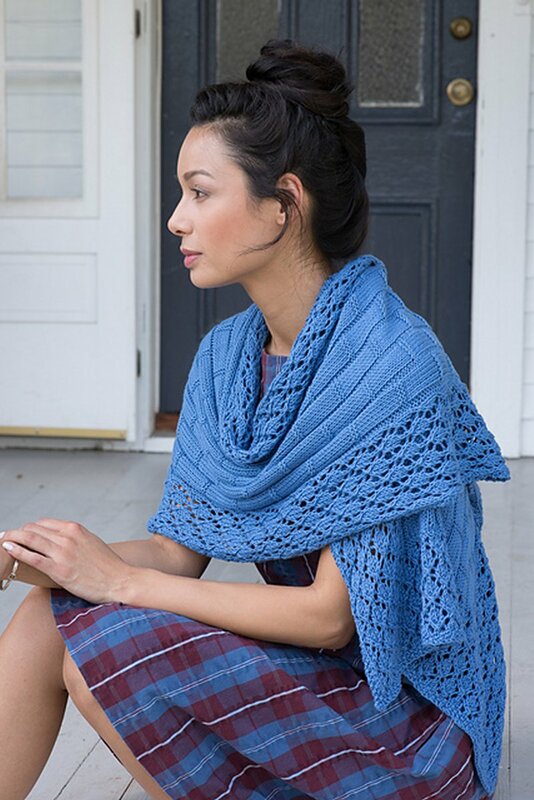 3 "Vinalhaven Wrap" - Knit flat, this sumptuous stole features a simple texture pattern inspired by bamboo shoots, combined with a lace pattern at the edges. 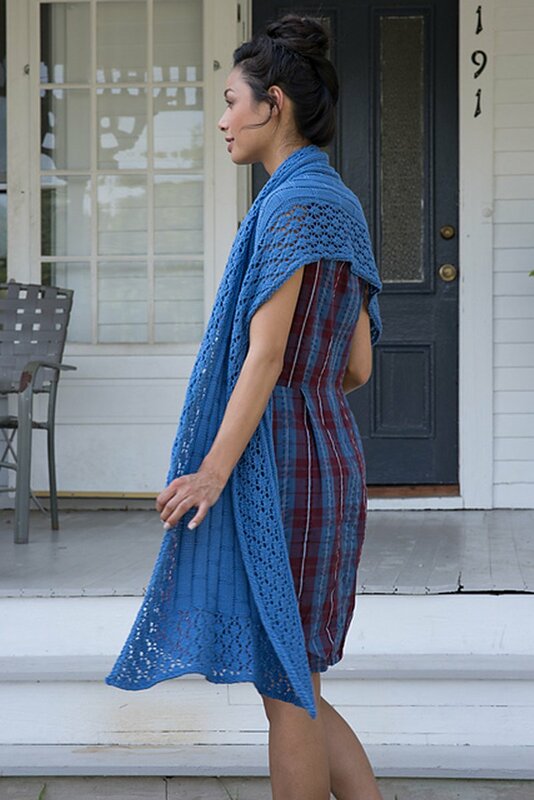 This pattern is from Berroco Portfolio Vol. 3 "Vinalhaven Wrap". Notions required but not included: 4 stitch markers, tapestry needle. Finished Measurements: approximately 22" wide x 62" long after blocking. Color Shown is 1654 Bluebird. $52.20 -- Kit price including yarn and pattern.